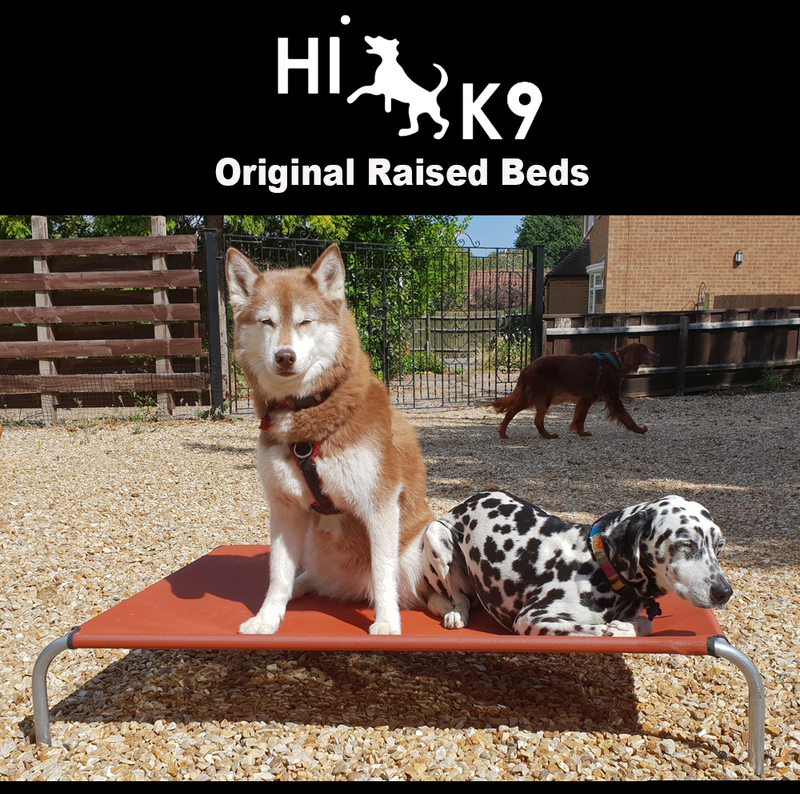 The Original HiK9 Raised Pet Bed are unique in design as they are a metal-framed hammock for dogs. The bed is offered with a choice of a mesh or solid fabric cover, which is removable for washing, along with an exciting range of accessories. The frame also collapses so that it can be easily transported and it fits into a very small carry bag that comes with the bed, so it is great in the home for travelling, in a caravan, motorhome or for camping. The beds are easy to keep clean while the washable mesh cover prevents fleas from breeding. To understand more about the effects of fleas, please visit our full flea article, by clicking here. These beds are also very popular for use in kennels because your dog is kept off the ground, while any risk of infection is removed because of the washable bed cover. If space is a premium, you can buy extended legs and make the beds into bunks. These raised pet beds are also perfect for groomers where there might be a number of dogs using the same bed, and where, when using conventional bedding there could be a risk of transmitting fleas or infection. A quick wash of the cover with a disinfectant and the bed is good as new. The covers are quick-drying too.